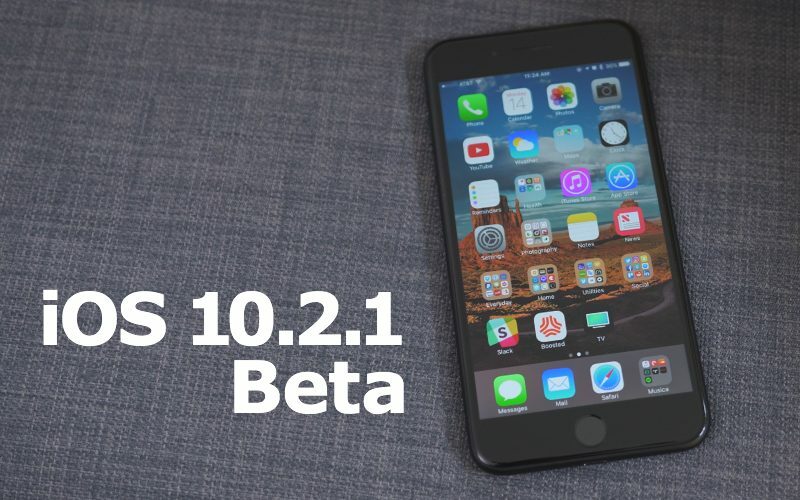 Apple today seeded the second beta of an upcoming iOS 10.2.1 update to developers, one week after introducing the first iOS 10.2.1 beta and over a week after releasing iOS 10.2, the second major update to the iOS 10 operating system. Registered developers can download the second iOS 10.2.1 beta from the Apple Developer Center or over-the-air with the proper configuration profile installed. It isn't known what features are included in iOS 10.2.1, but as a minor 10.2.x update, it appears to focus on bug fixes and performance improvements rather than major outward-facing changes. No new features were discovered in the first iOS 10.2.1 beta, but we'll update this post if any changes are found in the second beta. iOS 10.2.1 follows the release of iOS 10.2, a significant update that brought Unicode 9 emoji, a new TV app, Messages Screen Effects, Music improvements, and a whole slew of bug fixes. iOS firmware updates every 6 weeks or so will continue until eternity, or when Apple sinks below the waves. * Either embrace it and download updates forever, or install a tvOS profile and be done with the annoyance forever. Don't care, staying on 10.1.1 where's my jailbreak Timmy? For the love of God, please fix the battery "dying" at 20%. Just so I'm up to speed, now the MR hive mind thinks firmware updates are a bad thing? And beta ones, at that. Kudos to whoever posted the cute four point diatribe above, it gave me a much needed chuckle. Yeah, the hell was he rambling on about? Haha. But right, it's kinda odd that people are complaining now about too many BETAS. Years past people begged Apple and paid for their UDID's to get registered so they could try out betas and now that Apple has made them entirely free and opt-in, people are complaining about the number of them. Just wow. Tin foil hat much? I've never once had an issue with an update. They are not risky. They slow down when you install an iOS version that is 4+ years newer than the hardware. Updates secure your phone. I will take security over anything. Not updating is more risky. I am on iOS 10, and extremely glad that I did. Just because you are having some problems does not mean that everyone is. You should get your device looked at. The sun will also come up on a daily basis. Hoping this fixes bluetooth issues..... more to follow. Ip6 on 10.2 and my battery has been hunky since the update. Goes from 50% to shut down in a heartbeat. Hopefully it's a software thing and not my phone/battery going belly up.